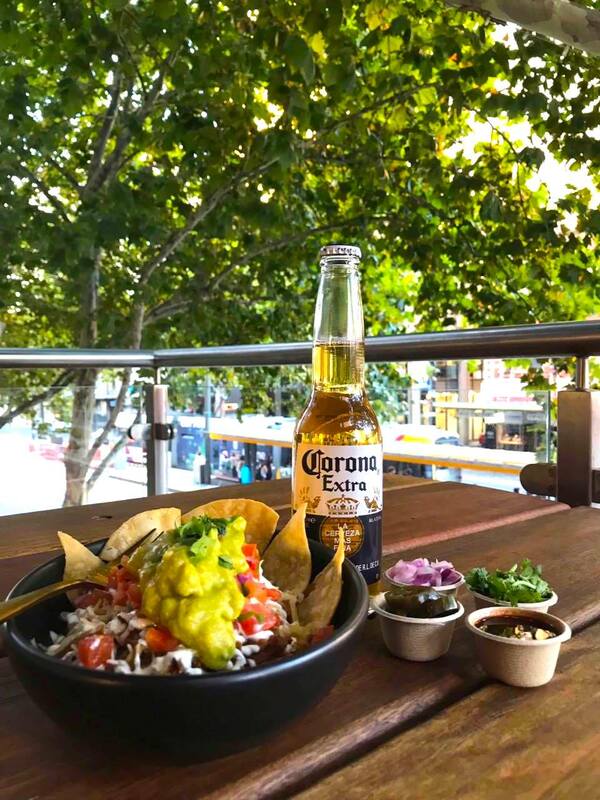 WIN 4 tickets to the Guzman y Gomez VIP Balcony experience for the Australia Day Parade, for a money can’t buy experience! 8 WINNERS WILL BE CHOSEN! 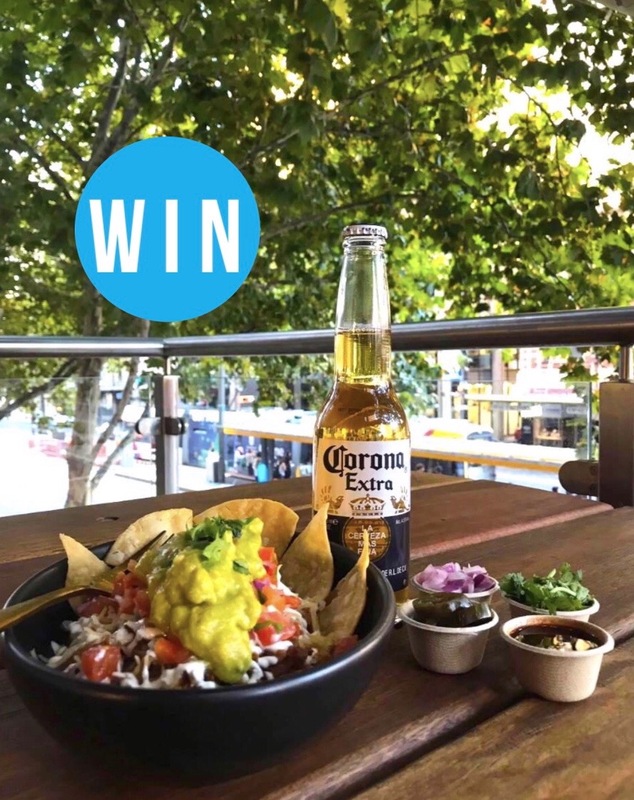 We will be choosing a whopping 8 winners, who can each bring 3 guests along to the Guzman y Gomez VIP Balcony experience for the Australia Day Parade in the Adelaide CBD. Winners will get to enjoy catering by the delicious Guzman y Gomez (an Adelady fave) as well as a couple of welcome drinks. What better way to celebrate Australia Day! To enter on our Instagram, TAG the person you would share this with and FOLLOW @guzmanygomez to be in the running to win. Photo (above) will be posted on Adelady Facebook and Instagram, Tuesday January 15, 2019 and the winner announced on Adelady Facebook and Adelady Instagram, Friday January 18, 2019. 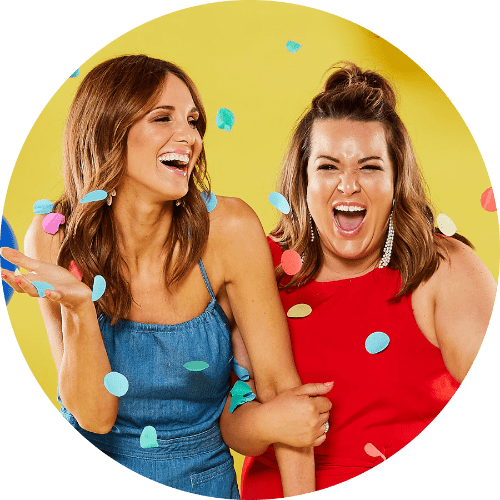 The eight (8) winners will receive a VIP Balcony experience for four (4) for the Australia Day Parade at GYG Adelaide, 33 King William Street, Adelaide SA 5000. This will include welcome drinks (limit two per person) and GYG catering. If winner does not contact Adelady within 6 days of notification, Adelady will choose another winner. Eligibility All South Australia residents, over 18 years of age. Directors, employees and their immediate families of the Promoter (including spouse, parent, child or sibling whether or not they live in the same house) and printers, suppliers, providers and agencies associated with this Promotion are not eligible to enter. Eligible entrants can enter on either or both platforms described above and will receive 1 entry into the qualifying draw for each time they complete the Entry Method. Only Instagram accounts that are public will be eligible. Prize Draw 8 winners will be drawn in total at 9am (AEST) on Friday, 18 January 2019. Adelady will comment on the winners’ original tag or comment on Facebook or Instagram depending on the Entry Method used by the winners, and inform the winners to contact Adelady, on Friday 18 January 2019. Prize Each winner will receive a VIP Balcony experience for 4 for the Australia Day Parade at GYG Adelaide, 33 King William Street, Adelaide SA 5000. This will include welcome drinks (limit 2 per person) and GYG catering. The total prize pool is valued at $1,120.00 (Inc. GST, $AUD). Prize Redemption and Re-draw Winners must contact Adelady within six (6) days to claim the prize. If a prize remains unclaimed at 6:30pm (AEST) Wednesday, 23 January 2019, Adelady will choose another winner. Prizes will be available upon arrival at GYG Adelaide, 33 King William Street, Adelaide SA 5000. Information on how to enter and prizes form part of these conditions of entry. Entry into the Promotion is deemed acceptance of these Terms and Conditions. The value of the prize is accurate as at the commencement of the Promotion. The Promoter accepts no responsibility for any variation in the value of the prizes after this date. The Promoter reserves the right to request Winner/s to provide proof of age, identity and residency at the nominated prize collection address. Identification considered suitable for verification is at the discretion of the Promoter. The Promoter reserves the right in its sole discretion to verify the validity of all entrants and to disqualify any entrant who the Promoter has reason to believe has tampered with the entry process, breached any of these conditions, or engaged in any unlawful or other improper misconduct calculated to jeopardise the fair and proper conduct of this Promotion. The Promoter’s legal rights to recover damages or other compensation from such an offender are reserved. The prize must be taken as offered and cannot be varied unless authorised by the Promoter. The prize value includes GST and is in Australian dollars and is correct at time of printing. The Promoter accepts no responsibility for any variation in prize value. If the prize is unavailable, for whatever reason, the Promoter reserves the right to substitute the prize for a prize of equal or greater value subject to any written directions from the various lottery Departments. The prize is not transferable to another person or exchangeable. The prize cannot be redeemed as cash, other goods and services or sold to a third party including online auctions and private sales. Unused portions of the prize will be forfeited and no compensation will be paid. Errors and omissions accepted at the Promoter’s discretion. Failure by the Promoter to enforce any of its rights at any stage does not constitute a waiver of those rights. The Promoter’s decision in relation to any aspects of the Promotion is final and binding on every person who enters and no correspondence will be entered into. The Promoter accepts no responsibility for any tax implications that may arise from acceptance of the prize winnings. Independent financial advice should be sought prior to entering the Promotion. The Promoter and any agencies associated with the Promotion shall not be liable for any loss or damage whatsoever which is suffered (including but not limited to indirect or consequential loss) or for any personal injury suffered or sustained in connection with any prize/s except for any liability which cannot be excluded by law. The Promoter will not be responsible for any incorrect, inaccurate or incomplete information communicated in the course of or in connection with this Promotion if the deficiency is occasioned by any cause outside the reasonable control of the Promoter including without limitation technical malfunctions or failures. This Promotion is in no way sponsored, endorsed or administered by, or associated with Facebook or Instagram. Each entrant agrees to release Facebook and Instagram in relation to any loss or damage whatsoever which is suffered (including but not limited to indirect or consequential loss) or for any personal injury suffered or sustained in connection with any prize/s except for any liability which cannot be excluded by law. All entries become the property of the Promoter. The Promoter may collect personal information about you to enable you to participate in this Promotion. Use of such information will be in accordance with these Terms and Conditions. To facilitate your participation, the Promoter may disclose your personal information to other agencies associated with this Promotion. Entrants’ personal information may be disclosed to State and Territory lottery departments and winners’ names published as required under the relevant lottery legislation. A request to access, update or correct any information should be directed to the Promoter at their address set out above. The entrant agrees to participate and co-operate with the Promoter and any agencies associated with the Promotion as required in all editorial and Promotional activities relating to the Promotion, including but not limited to being interviewed and photographed for the purpose of promoting this Promotion (including any outcome), and promoting any products manufactured, distributed and/or supplied by the Promoter and any agencies associated with the Promotion for an unlimited period of time without remuneration. The winners also agree to grant to the Promoter and any agencies associated with the Promotion a perpetual and exclusive licence to use such footage and photographs in all media worldwide and the winners will not be entitled to any fee for such use. In the case of the intervention of any outside agent or event which naturally changes the result or prevents or hinders it’s determination, including but not limited to vandalism, power failures, tempests, natural disasters, acts of God, civil unrest, strikes, the Promoter may in its absolute discretion cancel the activity and recommence it from the start on the same conditions subject to State and Territory Regulation.